There are more that 120 oil palm mills in Sabah, and according to industry study, they can provide sufficient residues or waste for downstream processing to produce biofuels. If Sabah can gather these mills in a joint venture initiative, there is no doubt we will be able to tap into the biomass pellets market for Asia region which is estimated to be 10 million tonnes a year by 2020. Syarikat Teck Guan Group, one of the palm oil industry players here, have recently launched its pilot bio-ethanol project in Tawau. Advance biofuels, or second generation biofuels, are fuels that can be manufactured from various types of biomass. While first generation biofuels are derived from arable crops, second generation biofuels are made from lignocellulosic biomass or woody crops, agricultural residues or waste. It is more difficult to extract them in the second generation biofuels, but unlike in the first generation, sourcing of raw materials doesn't compete with the food supplies. The aspiration to turn Sabah into the country's second generation biofuel centre is one step closer with the signing of the first of its kind biomass joint venture cluster here yesterday. In the ceremony, some 10 oil palm mills here made their commitment to supply oil palm biomass to the joint-venture company, Lahad Datu Biomass JV Cluster, which they themselves own. These include major plantation companies, namely Teck Guan Group, Bell Group, Genting Bhd, Kelas Wira Sdn Bhd and Golden Elate Sdn Bhd. The company will then decide on the best use for the biomass such as producing solid or liquid biofuels in the form of pellets or ethanol, according to a statement from Palm Oil Industrial Cluster (POIC) Sabah Sdn Bhd. 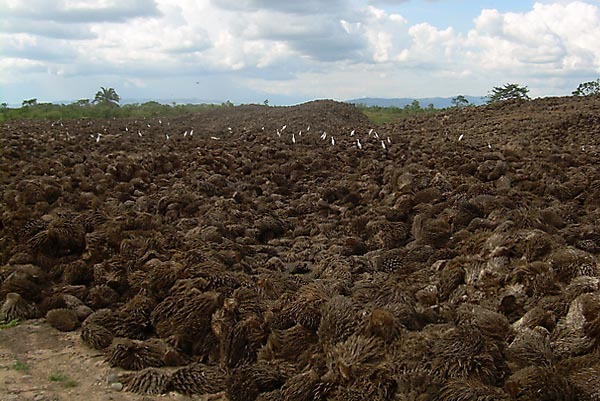 "Oil palm mills are the source of empty fruit bunches (EFB), the main ingredient in pellets and this cluster is a concept by Agensi Inovasi Malaysia (AIM), an agency in the Prime Minister's Department. "It aims at aggregating sufficient volumes of biomass for a portfolio of downstream processing activities, where participation of biomass owners assures long-term supply which was the main stumbling block to take-off of the biomass industry. "AIM has identified about 70 of the 120-plus mills in Sabah to be potential partners in biomass JV clusters, with hope to aggregate some 1.5 million dry tonnes per JV cluster to realise the objective of making Sabah the Malaysian centre for second generation biofuel," said state-owned POIC Sabah. Agensi Inovasi Malaysia, in collaboration with POIC Sabah Sdn Bhd, was instrumental in staging workshops, visiting oil palm companies and ultimately persuading a pioneering group of private companies to set up a JV cluster amongst themselves. "I hope these companies coming on board this JV cluster will inspire other oil palm companies to move from watching to being participants, so that we together can take our industry to an unprecedented level." AIM is the main driver of the National Biomass Strategy 2020 that seeks to unlock the potential of Malaysia's abundant biomass through value-adding manufacturing to create new wealth and high-wage jobs. A biomass manufacturing industry is estimated to contribute RM15 billion gross national income (GNI) to Sabah's economy by 2020. 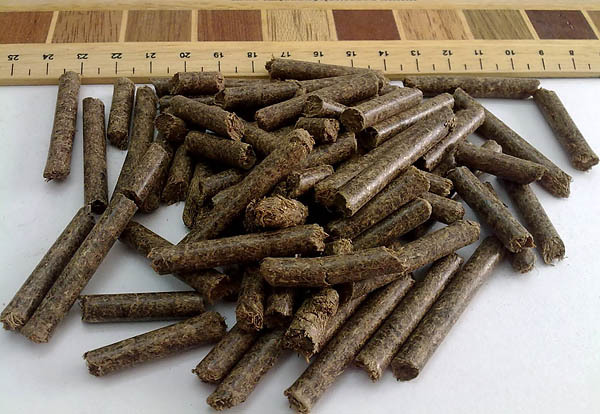 Biomass pellets have a worldwide market and in Asia, the demand to the tune of 10 million tonnes a year by 2020 is driven by Japan and South Korea as they attempt to fulfill a renewable energy mandate. Similarly, there is a global demand for second-generation ethanol, or ethanol derived from biomass as it can be used as a fuel or can be further processed to other chemicals.